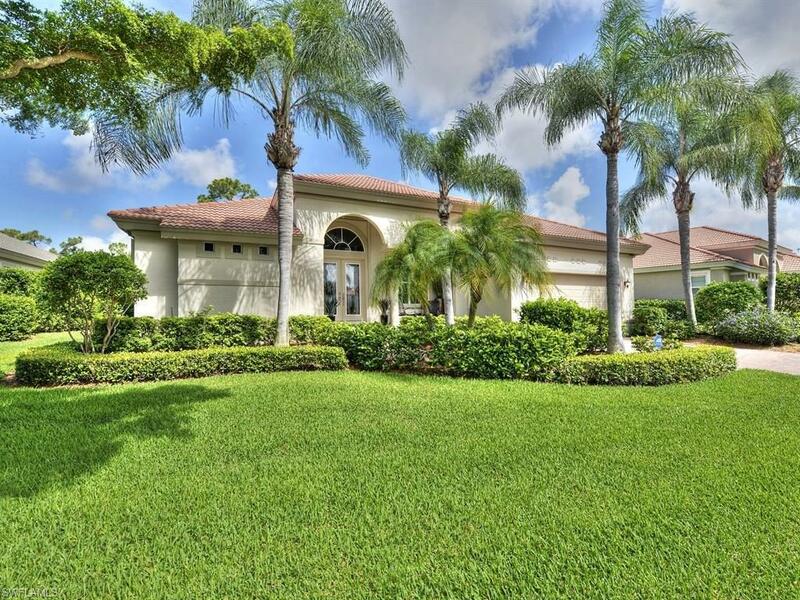 Exceptional home in gated Crown Colony features 4 bedrooms, 3 baths with open, flowing floor plan plus expansive views of the golf course and wildlife. Oversized free form pool, heated spa and great bar with ample shaded areas. Great room, Living room and 2 dining areas flow for entertaining. The layout provides unparalleled privacy for the master suite. Open kitchen has center island/wet bar, quartz counter tops, pantry plus beverage/wine center. This "Smart Home" has ability to monitor visually both interior and exterior of the home as well the interior temperature/humidity. The front door can be remotely locked/unlocked. Perfect for seasonal or permanent residents. Storm shutters already there for you and are easy to use. Community amenities include 24-7 manned gate, community pool, spa, well outfitted fitness center, 4 Har-Tru tennis courts, HDTV/fiber optic internet all included in you HOA package. Located near the beaches of Sanibel and Fort Myers, Health Park Medical Center, Barbara Man Theater, shopping, dining, and International Airport. Crown Colony Golf and Country Club Memberships available but not mandatory. Listing courtesy of Larry Joiner of Keller Williams Fort Myers.